Are UAE residents moving to bigger, budget-friendly houses? Lauren Doble Alshehhi’s family of three is one of many across the emirate taking advantage of favourable rental prices in certain communities in Dubai. She and her family have just moved from a three-bedroom hotel apartment in Business Bay to a four-bedroom villa in Jumeirah, saving Dh15,000 annually. Alshehhi had paid Dh195,000 in two cheques last year for the three-bedroom, fully furnished property at Damac Maison, and rent would have increased to Dh205,000 this year. 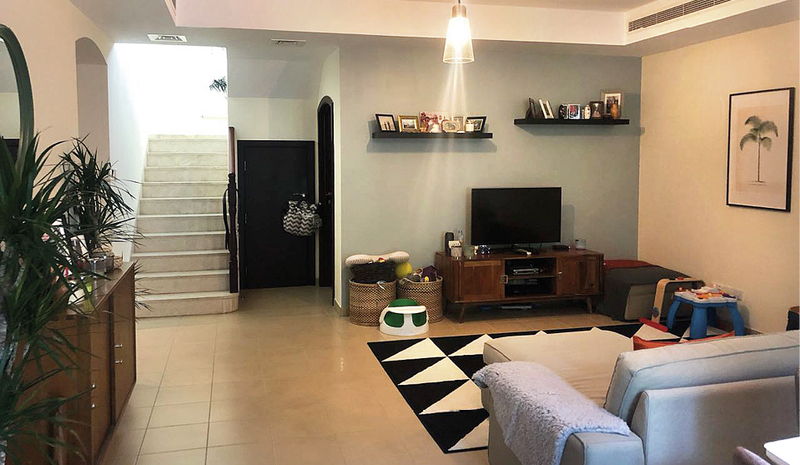 The family gained more than the extra bedroom, with a maid’s suite, garden, balcony, two-car covered parking and Galleria Mall and Mercato Mall just a short walk away. Their annual rent is now Dh190,000 in two cheques. Bobak Torab, a real estate broker who has worked in Dubai for five years, had lived in a studio in Discovery Gardens for three years, paying Dh46,000 annually, before he moved into a rented two-bedroom, lakeside town house in Springs in November for Dh120,000 per year. With new projects coming into the market, Torab says tenants and homebuyers in general will have an even broader range of choices. “There are more projects coming onto the market. I’m even hearing of people moving from Sharjah to Dubai as it’s more affordable to be on this side,” he says. Amy Pritchard, a British deputy nursery manager who has been a UAE resident for four years, had lived with her husband in Al Reem at Arabian Ranches. The family’s first house had two en-suite bedrooms and a study. “We moved to Arabian Ranches to be near family as we were new to the country and we loved the idea of having the pool so close and having plenty of parks and walks to keep the baby entertained,” says Pritchard. As residential real estate activities continue to intensify in Dubai, Pritchard believes older and more established communities such as Arabian Ranches will find strong competition from newer developments. “Although they still have the established community that a lot of people are looking for, areas like Mudon, Reem, Damac Hills and even Town Square are not far off being able to rival this, while also offering much newer villas,” she says.